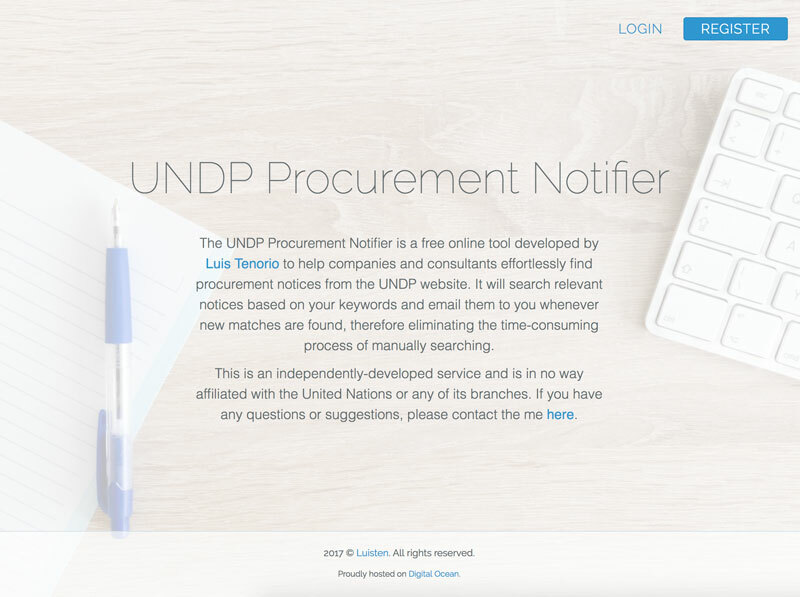 This free online tool was created to ease the process of finding UNDP procurement notices. 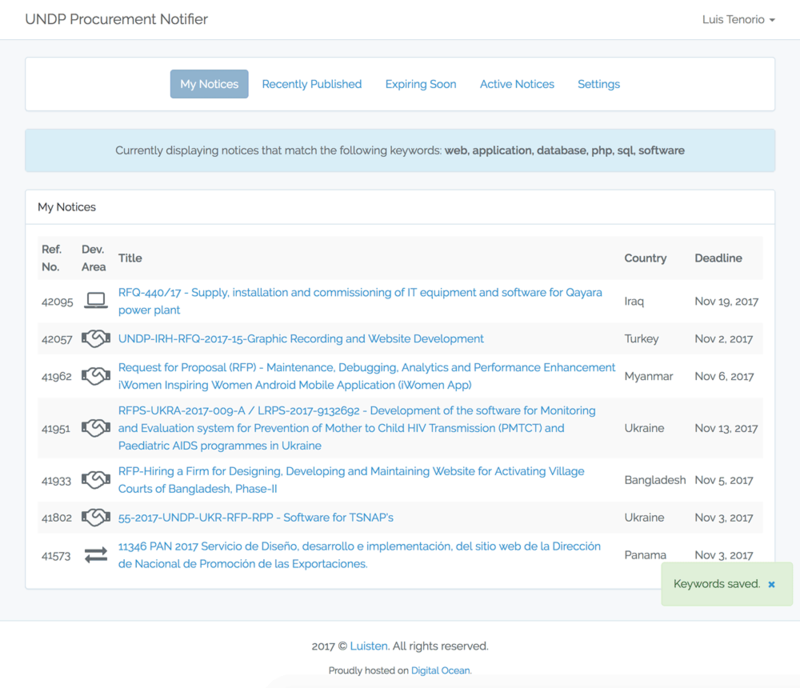 Instead of manually browsing the list of published notices, this tool finds any notice that matches a certain set of keywords and emails them to you as they’re published. It provides an effortless way for companies and independent consultants to be notified of relevant procurement notices without having to worry about missing deadlines. The service is currently free to use and registration is open to everyone. You can create an account by visiting the site. As it is an independently-created service, it is not officially affiliated with the United Nations or any of its branches. Please feel free to reach out to me here if you have any questions or suggestions.